The good folks at The Project Bin have done it again. 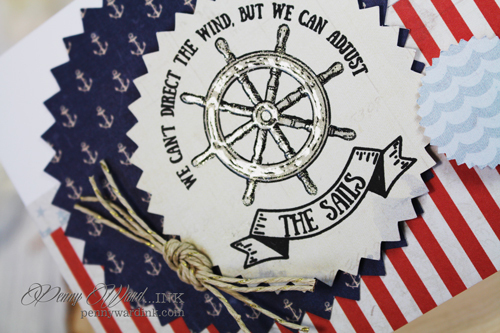 These stamps are going to make such super cute cards and layouts for those that love sailing. However this particular sentiment can be used on projects that really have nothing to do with sailing, but more for encouragement. 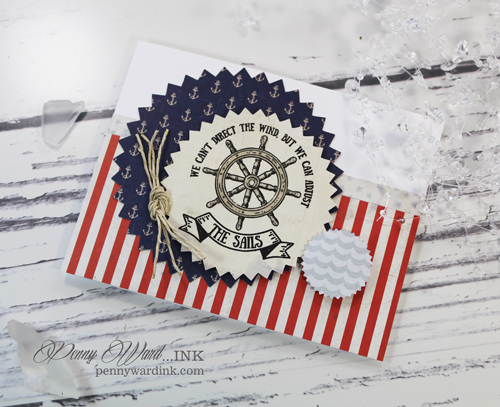 This card is quite easy to reproduce as it involves a lot of pattern paper. Circles were cut with my handy dandy Silhouette Cameo, but really, any circle die would work. 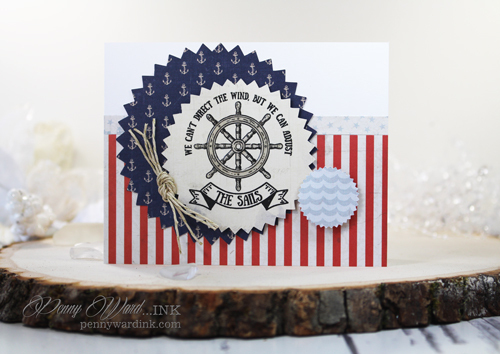 Sentiment from the newly released Anchors Away set was stamped with VersaFine Onyx Black ink, then the wheel was coated with Glossy Accents. Of course not being a sailor myself, I had to peruse the internet to find out how to tie the twine.